This is a beautiful video of what happens to astronauts when they return to Earth. It was done by Planetary Collective, a group of filmmakers, visual media creatives and thinkers who work with cosmologists, ecologists and philosophers to explore some of the big questions facing our planet today. 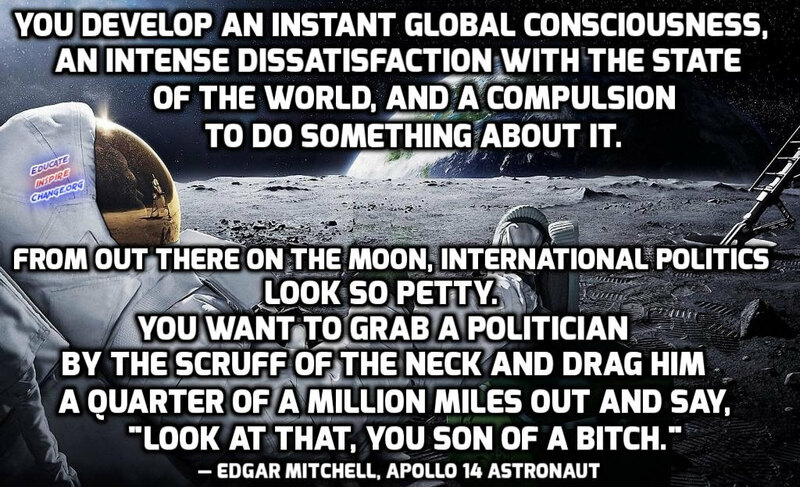 One astronaut featured in the video is Apollo 14 astronaut Edgar Mitchell. We’ve shared many of his recent interviews on our website as well as many from fellow astronaut Brian O’leary.